Three callings cards found tucked in the Bible of Jeremiah Bloom and Susanna (Snyder) Bloom; passed down to their son James Hagan Bloom of Sherwood, Ohio. 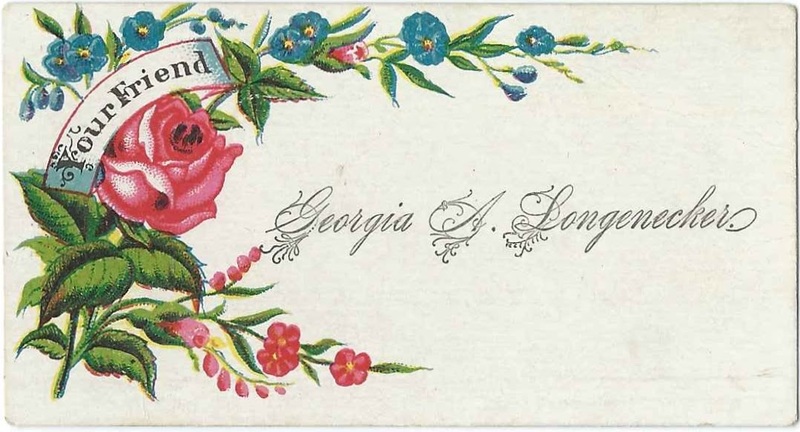 Above, the calling card of Georgia A. Longenecker. I found a list of people acquiring marriage licenses as printed in the Richland Shield and Banner, including one acquired by Georgia A. Longenecker and Bert S. Marvin on April 7, 1894. Interestingly, there's an Ohio marriage record for Bert and Georgia that shows them having married on April 4, 1894. Riley Roush might have been John Riley Roush (1850-1932) or his son Riley William Roush (1870-1887), both buried in the Sherwood Cemetery at Sherwood, Ohio. 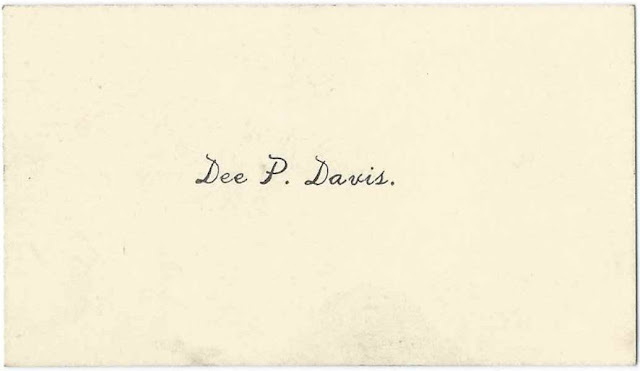 I'm not sure about the identity of Dee P. Davis or Des P. Davis, as Dee or Des might have been a nickname. 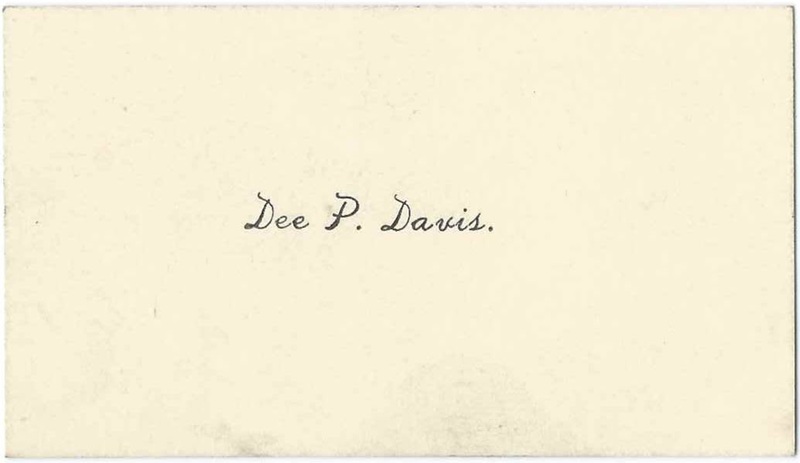 If you have information to share on any of these people, especially if you have a theory as to the identity of Dee P. Davis, or Des P. Davis, please leave a comment or contact me directly.